Eliciting help from a Fairfax personal injury lawyer may be necessary when dealing with a lawsuit, even if you handled the insurance claim yourself up to this point. When the insurance company refuses to budge on an accident case settlement offer that does not provide enough to cover damages, a lawsuit may be the next step. Whether you need an attorney may depend on the level of the personal injury case. 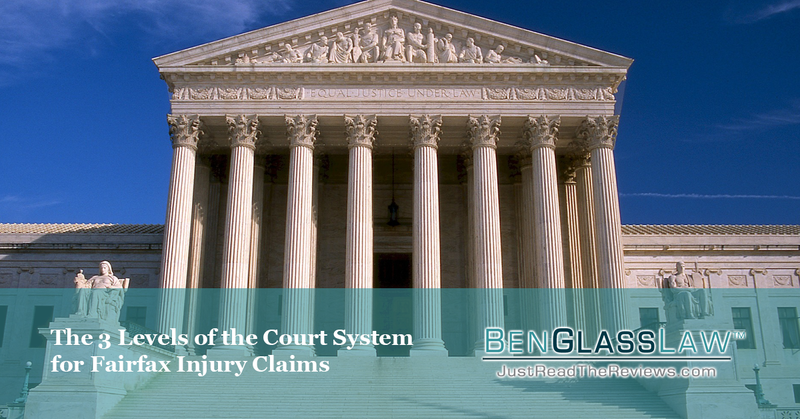 The lowest level is the Small Claims Court, which handles lawsuits in which the damages sought are under $5,000. In these accident cases you won’t need a lawyer – in fact, lawyers are not allowed in this court. The process may involve witnesses and the judge will make the final decision in the fastest, fairest manner possible. If you’re seeking damages greater than $5,000 but less than $25,000, you’ll be appearing in General District Court. This is a standard trial that will use the Rules of Procedure and Evidence for each accident case. The defendant may have a lawyer provided by the insurance company, so you may want to seriously consider working with a Fairfax personal injury lawyer of your own. For damages greater than $25,000, the lawsuit will be handled in the Circuit Court of the county where the accident occurred. Lawsuits at this level of the court system are generally more complex and usually require a lawyer from the start. When the courts get involved, you may be looking at court fees and if you lose the case, you may have to pay for the other party’s legal fees. It’s never too late to talk to a Fairfax personal injury lawyer for help with your accident case or lawsuit! At any time during your accident case, if you think you need a lawyer, listen to your gut instinct. Even if you settle your case on your own, you may still benefit from basic legal advice from a lawyer such as men when you need a little reassurance or guidance. If you think you’re ready to handle your accident case on your own, I encourage you to visit my website and download a FREE digital copy of my book, Get It Settled! The Accident Victim’s Guide to Settling Your Case Without Hiring a Lawyer. Of course, I won’t leave my clients hanging in the wind – if you think you need a Fairfax personal injury lawyer to settle your case, contact Ben Glass Law at our website, or give us a call at 703-584-7277 and we’ll set up a consultation.